Working at ZINation means becoming part of a team in a fast growing e-commerce solution start-up company. We are looking for driven and creative individuals, who want to be part of a team that will shape the online merchandising industry through collaboration. Your personal growth is important to us, and we will help you with one-on-one coaching, skill development, and more. We encourage our team members to take risks and experiment with new ideas or tools. Make a mistake? Don’t sweat it! Learn from it and share your experience with the team. ZINation is all about learning and trying new things. A career at ZINation puts you on the next evolution of the e-commerce industry and offers many opportunities for advancement. 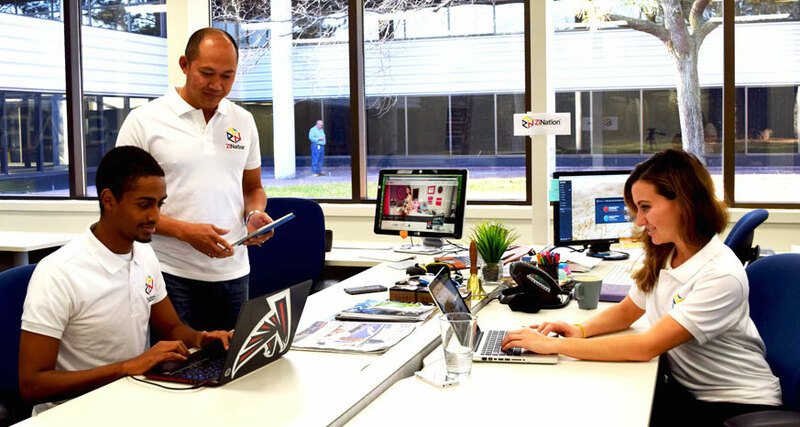 As part of the ZINation team, you will be exposed to valuable knowledge and experiences in the e-commerce industry.